I realize this might not be strictly Model T related, but I'm having trouble finding where else to post it. 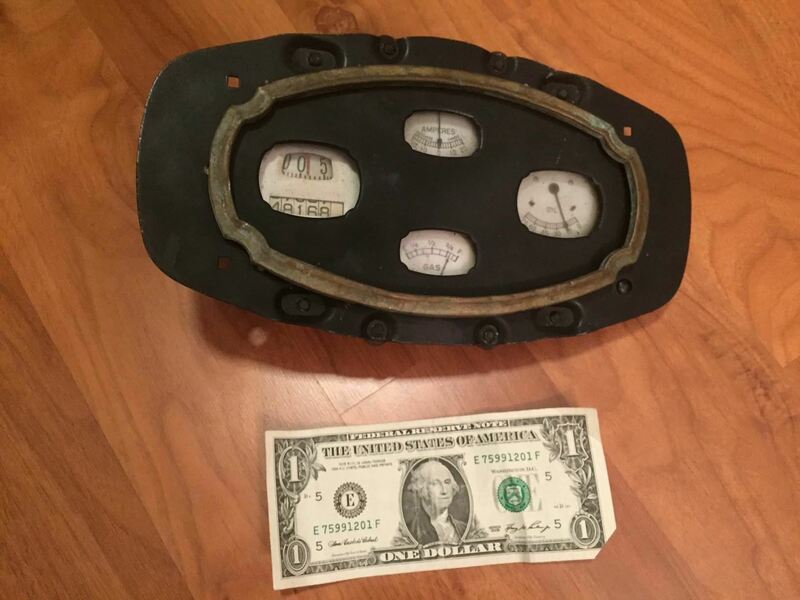 I found this gauge cluster at a house where the previous owner used to restore antique automobiles. To my knowledge there were Model T's, Hupmobiles, and Metz cars in the house, though it could be from any car because he was a bit of a hoarder. 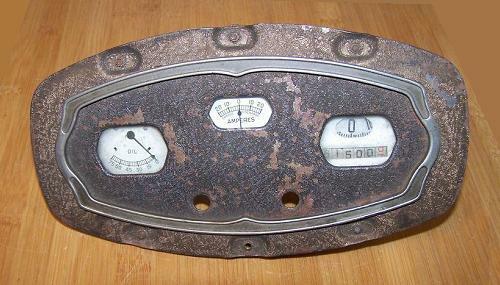 It is pre-WWII and the gauge patent numbers point to late 1920's. Any help pinpointing what car this belongs to? Or perhaps another forum to post to. The speedometer shows "366-A" in paint on the back. The fuel gauge shows " US PATD. NOS. 1663947-1657855 NECO GAUGE", and on the face of the fuel gauge it says "NG-339" The ammeter face shows "NAGEL Electric Toledo" The oil gauge face shows "G-953"
Might check with Aaron Griffey, he used to do work for a massive auto collection. He might recognize it. The shape of the corners looks familiar though. It is from a low-priced car, no temp gage. Not sure about the low priced bit Aaron. Most probably fitted with a Motometer. Looks similiar to a 1930`s Willys? What ever it is for sure, if there is a guy who needs it for a restoration you could name the price for it. Another one of those pieces that you can take to meets for a long time until the right guy comes along. I think Charley nailed it. Here's the cheapo model with no gas gauge.